There is so much to learn and experience at Chimney Rock National Monument! Chimney Rock offers monthly programs, annual events and daily guided and audio-guided tours that will bring this beautiful site to life so you can visualize what it might have been like to live here 1,000 years ago. CRIA presents Night Sky: Stars & Galaxies on Friday, July 13th and Night Sky: Our Solar System on Friday, July 20th. The Stars & Galaxies program is timed for when the moon is absent from the sky. This program enables visitors to enjoy the night sky in a truly dark-sky environment and see fainter objects that the moon’s light would normally obscure. The Our Solar System program is timed for when the moon is present in the sky but not fully illuminated. This program enables us to enjoy the night sky unimpeded by artificial lighting or the brightness of a full moon, and see many of the brighter objects that are visible. For both programs, the evening begins with an amazing sunset and interactive discussion at the Kiva Trailhead just off the high mesa parking lot. Visitors can bring their own camp chairs or sit on the stone wall or wooden benches that will be provided. Topics will include how the ancient people who periodically inhabited the site lived, how they used the unique landscape of the Chimney Rock area to view the sky and what special astronomical events they might have seen. After the discussion, volunteer astronomers await with telescopes to provide a closer look at the wonders of the night sky. Remember that at this altitude the nights begin to cool rapidly after sunset, so an appropriate jacket or sweater will enable you to keep comfortable while you enjoy the majesty of the night sky at Chimney Rock. These programs are perfect for young families and those with limited mobility. Visitors traveling with their own telescope are encouraged to bring it to the program and share it with others. Reservations strongly recommended. Limited space. Walk-ins tour of the Kiva Trail. on a first-come, first-serve basis. Tickets are $12.00 (adults) and $5.00 (children 5-12) plus booking fee, and are non-refundable. In the event of cancellation due to inclement weather, rain checks will be available. Please check our website for times and to make your reservation. Chimney Rock Interpretive Association invites you to the Life at Chimney Rock Festival at Chimney Rock National Monument on Saturday and Sunday, July 21st and 22nd, from 10:00am to 4:00pm each day. Bring the whole family! The entry to the Festival is FREE! Family activities and interactive demonstrations of the skills of the Ancients will include grinding corn with a mano and metate; pounding yucca to make rope, netting or sandals; throwing the hunting spear using an atlatl, or creating your own pictograph. The Stargazers will be there with a solar scope demonstration so kids will have the opportunity to safely view the sun, and special guest, Pat Jackson, from St. Francis Wildlife Rehabilitation and Sanctuary in Arboles, will have her rescued peregrine falcon on display. A major festival attraction is the invitational Native American Arts and Crafts Market including Native American tacos and frybread. Vendors will be displaying their crafts and in some cases demonstrating their Native American art and skills. One of the many artists at the market this year is Flo Vallo. Flo is a fourth-generation potter from Acoma Pueblo who inherited the art of pottery from the women in her family. She learned from her grandmother how to gather the clay, grind the potsherds for temper, and shape the pieces. After Flo creates the forms, her husband Lee paints the pieces in the traditional way with a yucca leaf brush. They gather the materials near their home at Acoma while making “offerings of prayers and water to Mother Earth as we take these things from her to make our pots,” said Flo. The Full Moon Program will take place on Friday, July 27th. The Full Moon Program occurs against the backdrop of the Great House Pueblo at the top of Chimney Rock Mesa. 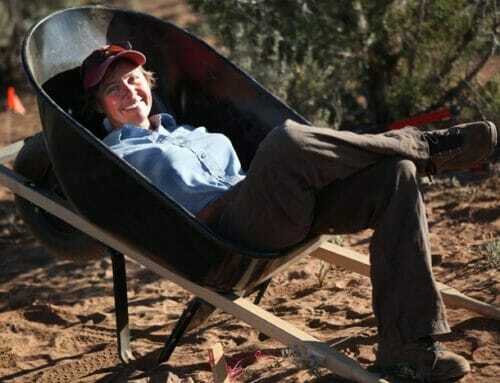 The program includes an informative lecture on topics specific to the Chimney Rock site, such as the ancestral Puebloan culture, archaeoastronomy theories, or area geology. Then, guests watch the full moon rise to the music of Charles Martinez’ Native American flute. (This moon-rise does not occur between the spires.) You’ll be torn between looking west to see the spectacular sunset and focusing on the eastern mountain range to see the first sliver of moon. The program lasts approximately three hours including check-in, driving to the mesa top and hiking to the Great House Pueblo. This program is recommended for ages 8 and up. There is a $15 fee for attending or $20 to attend the Full Moon Program with an early Guests who plan to attend the early tour, please check in at the Visitor Cabin by 5:45pm. Guests who plan to attend the Full Program only, please check in at the Visitors Cabin by 7:15pm. The Full Moon Program begins at 7:45pm. 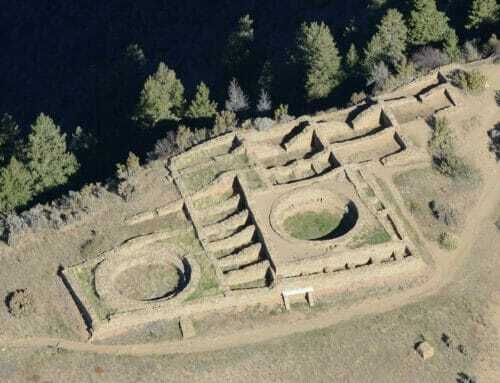 Visit this ancient Puebloan cultural site located 17 miles west of Pagosa Springs and 3 miles south on Highway 151. The site is accessible for 2-hour guided walking tours at 9:30 am and 1:00 pm and for 1-hour guided walking tours at 10:00am & 12:00pm. The fees for guided tours are $14/adult and $5/child (ages 5-12.) Audio-Guided Kiva Trail tours are also available between 10:30 am and 3:00 pm ($10 for adults, $5 for children ages 5-12; under 5 is free).